Caroline and Ross are from Philadelphia who were looking for a beautiful New England fall wedding at the one and only LakeFalls Lodge in Nelson NH. Caroline and Ross are two of the coolest people that I know. Ross is an MD, and Caroline actually has some experience with planning events. What is even cooler is she dabbles with photography a bit. Caroline was looking for a no fuss, low-stress wedding weekends. Yep! Weekend. They rented out the lodge for the full weekend so they could enjoy the beautiful New England fall foliage. And that was one request of theirs, they wanted the pictures to really show the beautiful colors that come along with this season. Being that they were planning a wedding from quite a distance away- they hired Jenn Matthews early on to help coordinate all the details. Jenn is a professional wedding planner who owns Memorable Events out of Westmoreland NH. Caroline’s bouquet was a simple arrangement of lavender. (And the aroma was very relaxing as you can imagine) The girls got ready in one lodge and the guys in another. Before the big moment- the guys blew off steam by playing some pool and enjoying a nice cocktail, while the ladies enjoyed a cool glass of champaign. The ceremony was emotional and was the reception was nothing but a good time had by all. Family and friends from both sides all came together to reminisce about the old time and to create new memories. (oh and wanna know a pretty cool fact- Caroline is a decent of President Calvin Coolidge!) Why don’t I show you some pictures from their beautiful day. This is New England wedding photography at its best. 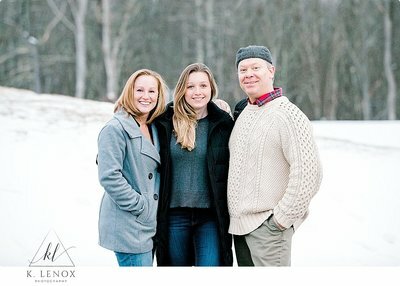 K. Lenox Photography is an award- winning photographer based in the Keene/Brattleboro VT area. Offering wedding coverage in Keene, Brattleboro, Maine, Massachusetts and destinations worldwide,and is located right here in the Southern NH area. Creative. Fun. Fresh. Award-winning. These are the words typically used to describe this New England wedding photographer. With clients based all over the East Coast Keene, NH is home to this New England wedding photographer.